We are the organisation that brings together research groups and industries in the field of Computational Linguistics in Italy. AILC promotes methodological, theoretical and experimental reflection, scientific cooperation, as well as the development of shared practices, resources and tools. AILC also encourages the transfer of technology and knowledge to the market, within the field of Computational Linguistics. Promote scientific and educational activities in the field of computational linguistics and language technology applications, in particular those addressing the Italian language. Improve the visibility of initiatives and resources from single individuals, institutions and other associations, by facilitating the shaping of ideas and interdisciplinary projects. Promote the integration of professional skills, both in the humanities and in computer science. 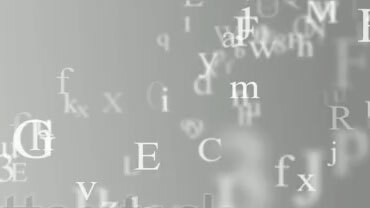 Establish and strengthen ties with other national, European and international initiatives working in the field of computational linguistics, possibly through the direct participation of the Association in such initiatives. Promote the field of computational linguistics within the national policy for university and scientific research. Also this year, in connection with its annual conference (CLiC-it), AILC assigned a prize for the best master thesis in computational linguistics defended at an Italian University. This year, in connection with its annual conference (CLiC-it), for the first time AILC introduced a prize for the best master thesis in computational linguistics defended at an Italian University, which was awarded to Alessio Miaschi, from Università di Pisa.